Interest in Evans Waterless Coolant has rocketed since Edd China expertly demonstrated the Evans product gaining not only a sharp spike of enquiries and sales but also a frenzy of attention from a number of key blue chip companies. Watch now for another chance to see Edd’s full demonstration of the conversion from the Prep Fluid flush to finish. The coolant Edd used was our Classic Cool 180 which is particularly suitable for this era of car and will eliminate the overheating problems that can be common with triumphs. The new owner will also find the coolant won't cause corrosion or cavitation and will extend the life of components such as the water pump. Edd also demonstrates how the unique properties of the waterless coolant prevent pressurisation of the cooling system by removing the radiator cap whilst the vehicle was running. Don't try this with a water-based coolant! 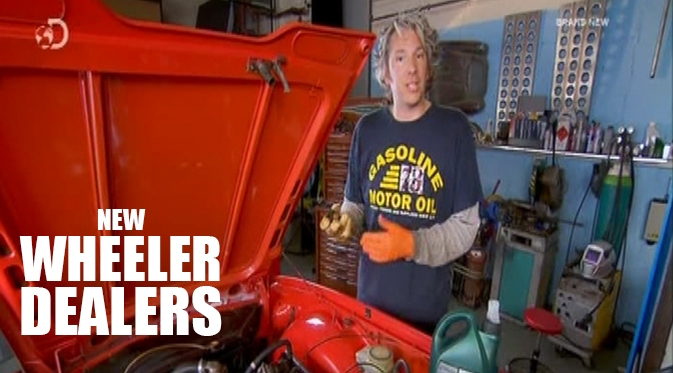 Again, thank you ‘Wheeler Dealers’ for using our product!